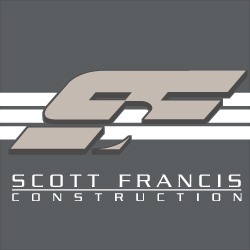 Scott Francis Construction offers remodeling and additions for individuals and families who are interested in a quality renovation managed by an experienced, creative, and receptive team of professionals. We deliver added value with uncompromising craftsmanship and service. A major home renovation can be a wonderful, life changing experience. At Scott Francis Construction, we make every effort to ensure your home remodeling experience is as comfortable and as rewarding as possible. Our goal is for you to relax and enjoy the home improvement process – and results. You can trust Scott Francis Construction to deliver your bathroom remodel, kitchen remodel, or other exceptional home improvement project on time and on budget. A smart home remodel can add incredible value to your home. With our team, home remodel projects and additions are all about what’s right for you. People grow and lives change. Often a remodeling project arises from these life transitions and challenges. At Scott Francis Construction, all renovation projects take into account the specific needs of the people living in the home, as well as their guests. Other factors that may influence remodeling choices may be children becoming teenagers, families looking for larger gathering areas, the need for increased storage space, a desire for better flow of traffic through the home, or rooms with added privacy. Whatever your situation, our team is prepared to help develop and execute the solutions you need. All these considerations are just part of the added value that goes hand-in-hand with the Scott Francis experience of uncompromising craftsmanship, and service. We specialize in kitchen remodeling and bathroom remodeling – and would be honored to help your and your family remodel your home to better suit your needs.